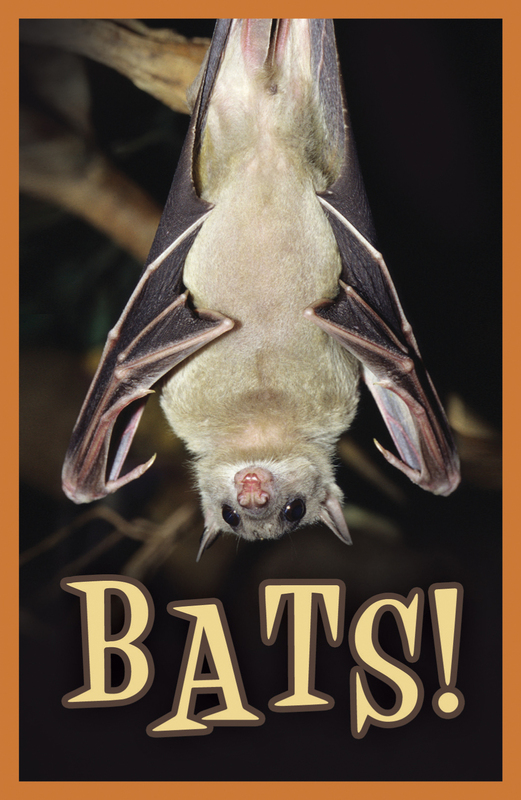 This colorful tract for kids explains that bats are amazing creatures created by God—and God created them to be special, too! Companion to the best-selling children’s tract, Frogs! BATS can locate objects in the dark? They use sonar—making high-pitched sounds and listening to echoes—so they can fly without bumping into things! BATS come in a wide variety of shapes, sizes and colors? There are about 1,100 different kinds of bats worldwide. BATS can fly faster than most birds? Bats have thinner wings than birds, which means they can move quickly and change directions easily. BATS can live up to 20 years? BATS are called “pups” when they are first born? BATS are not blind? While most species have very poor vision, they are still able to see. BATS of some species have been discovered to detect ultraviolet light? That’s a type of light that humans can’t even see! BATS have very flexible “fingers?” But bat fingers are different than human fingers, so they can bend and move in more directions than human fingers can! Did you know that the same God who made bats also created YOU? God’s book, the Bible, says that though God cares about each bird in the sky, you are much more valuable (Matthew 10:29,31)! And though you don’t fly with wings like bats and birds, and you don’t have sonar like bats, God made you very special in many other ways. That’s because he loves you, he wants you to know him, and he has made you so you can love him back. God knows everything about you. He knows the good things that you do but he also knows the bad things that you don't want anyone to know about. The Bible says that all of us have done bad things, called sins, and it says we all deserve to be punished for doing them—it says “the wages of sin is [eternal] death” (Romans 3:23, 6:23a). But the Bible also says that the free gift of God is "eternal life through Christ Jesus our Lord” (Romans 6:23b)! You and I are so important to God that He sent His very own Son, Jesus, to die on the cross and take the punishment we deserve. God showed His love for the world when He gave His only Son (to die for our sins), so that whoever believes in Jesus “should not perish, but have everlasting life” (John 3:16). Then Jesus came back to life and was seen by hundreds of people before going home to heaven (1 Corinthians 15:3-6)! God loves you so much that He wants to forgive you for your sins. But first you must agree with Him that you have sinned. You must also truly believe Jesus died for you so you can be forgiven and receive God’s gift of eternal life. If you believe that with all your heart, right now you can tell God that you want to accept Jesus’ death to take the punishment for your sins and accept his gift of eternal life. Those who believe in Jesus become God’s very own children (John 1:12). He even promises them a home in heaven someday (John 14:1-3). He wants you to be part of His forever family and to help you live to please him every day!